If you are seeking residential landscaping in Framingham Massachusetts, then Clean Slate Landscape & Property Management, LLC is the landscaper you have been looking for. 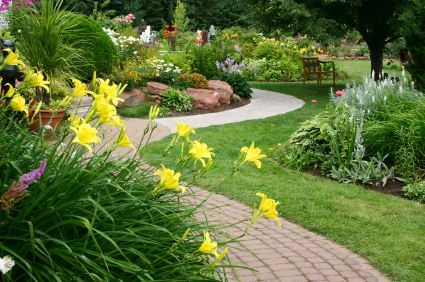 Landscaping Framingham since 2000, Clean Slate Landscape & Property Management, LLC has built a reputation for beauty and efficiency. No matter what type of landscaping service in Framingham you need, Clean Slate Landscape & Property Management, LLC can provide it for you. Framingham homeowners and business owners use Clean Slate Landscape & Property Management, LLC for many different landscaping needs such as lawn cutting, pruning, edging, fertilizing, and planting. The end result is a beautifully manicured Framingham lawn produced by a company which knows the ins and outs of the lawn care business. Customers also love the fact that the Framingham landscaping services offered by Clean Slate Landscape & Property Management, LLC are quite affordable. This means that you can obtain the lawn cutting or planting services you desire at a competitive price. Reputation says it all and Clean Slate Landscape & Property Management, LLC has a great one. With so many years landscaping Framingham Massachusetts, it is no wonder that our stellar reputation often precedes us. If you live in Framingham Massachusetts and need landscaping services for your home or business, now is the perfect time to call Clean Slate Landscape & Property Management, LLC. Our professional Framingham landscapers can meet with you to determine your exact landscaping needs are and then carry out the work to perfection. Contact Clean Slate Landscape & Property Management, LLC today at (508) 669-7959 and obtain the landscaped yard you have always wanted!